On Wednesday, July 25, retiring Rear Admiral and PLEI Board member, Pamela Schweitzer, PharmD, BCACP, was recognized on the floor of the US House of Representatives by Rep. Paul A. Gosar (R-AZ). 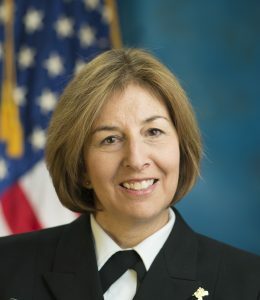 RADM Schweitzer was recognized for her many contributions to the field of Pharmacy and for her exemplary leadership in the field and in service to her country. The Pharmacy Leadership & Education Institute shares Rep. Gosar’s sentiments and we thank her for her years of service. To read the Congressional Record of the Rep. Gosar’s recognition of RADM Schweitzer, click here.